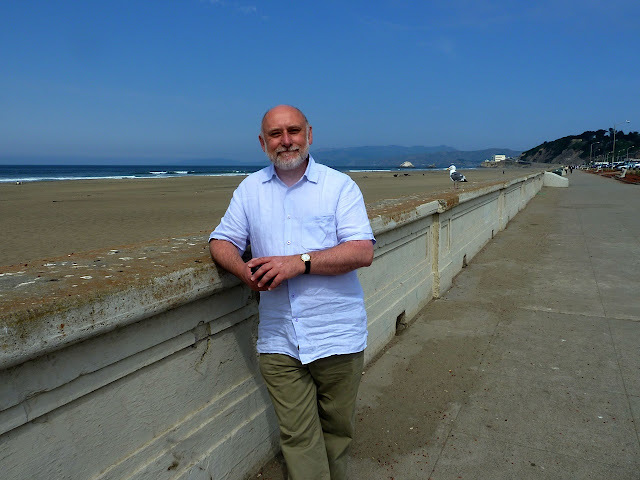 I really do enjoy the interviews I have done on Got A Ukulele - you learn something new in each one and they are so enlightening - this one has that in spades - say hello to Ken Middleton! Ken is someone known by so many people in the uke world right around the globe. I have also been lucky enough to have him play with our group which has been a total pleasure. A really nice guy with so many useful tips at his disposal. (He also plays rather well too!). 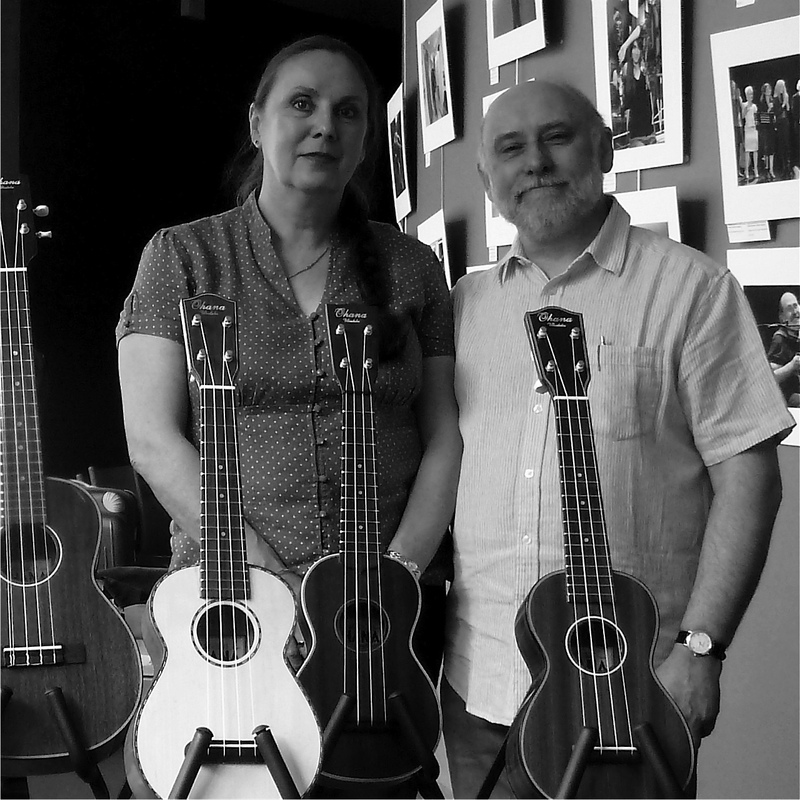 As well as playing and performing, Ken is the International Marketing Manager for Ohana Ukuleles and has also brought out his own brand of uke strings called Living Water Strings (a brand I am mightily impressed with!). 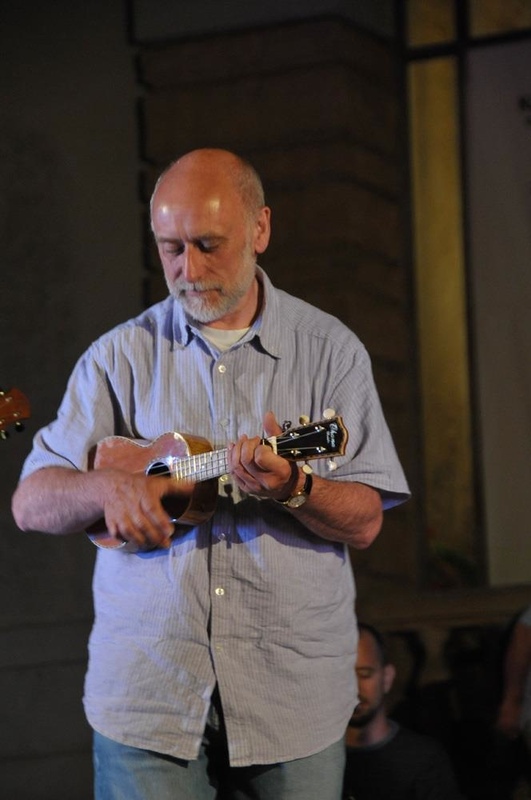 And if that didn't keep him busy enough, he also runs ukulele workshops and has a range of ebooks of ukulele tab available - who better to talk ukulele with then? I caught up with him recently for the blog. Hi Ken – great to talk to you - could you let my readers know a little about your background and how you started with the ukulele? Hi Barry. I am really pleased to be doing this interview with you. Thanks for asking me. My musical background is quite straightforward. I studied music at college and started teaching it as a classroom subject in 1972. For well over 30 years I taught the subject in an English high school. For much of that time I was Head of Music and I taught Music up to Advanced Level. The first real instrument I was given by my father was a ukulele. This was the earliest instrument that I tried to play. Shortly after this, sometime in the late 1950’s, I was given a guitar and very gradually taught myself to play it. In the mid 1960’s I was given an electric reed organ. I messed around on this for a while, but then started to have lessons on the piano. Later, I had lessons on the violin too. At college I had lessons on the trombone, but I really didn’t like brass instruments and made very little positive progress. Today I feel able to bash a tune out of pretty much anything with strings on it. When I retired from teaching just over 8 years ago, I bought myself an alto saxophone - a fairly good quality one. I taught myself to play it and thoroughly enjoyed it. I was initially attracted to it after giving emergency lessons to a friend’s grand-daughter. Her own teacher had dropped out just before her exams were due. After learning the instrument for myself, I joined a local wind-band and had a great time playing in concerts at assorted venues. For most of my musical career though, the guitar and piano have been my main instruments, but there has usually been a ukulele to toy around with. I didn’t start to take the uke seriously until about 6 years ago. I had always been able to play the ukulele, but not with any degree of proficiency, until I actually bought a decent one and set my mind to learn to play something on it other than Swanee River, Ain’t She Sweet and the like. At this time I bought three ukes: an Ohana TK-35G, a Kanile’a K1 and Kiwaya KTS-4. I still have these three instruments and use them regularly. Actually, the TK-35G is my best all-round uke, the one I use the most. For a few years I worked as a supply (substitute) teacher, then I was offered a job with Ohana Ukuleles. What a wonderful opportunity, to work for the company whose ukes I so admired. Initially I was asked to promote the brand in Europe. Now, my brief is much more wide-ranging. I am involved in most of the important decisions that the company needs to make, the design of new instruments, attending trade shows and speaking to dealers, customers and performers. It is a rewarding job and I count it a real privilege to be so closely involved in something that I care passionately about. As for what attracted me to the ukulele? It light, small, cheap and easy to play. Well, it’s certainly light and small. It is certainly cheaper to buy than most other instruments of comparable quality. And it is definitely easier to play simple pieces on than most other instruments. However, playing it really well is another matter. I suppose what really attracted me was that mysterious, indefinable, addictive quality that the ukulele has. So do you have an approach to playing? • Treat the ukulele as a serious instrument, capable of being used to play music in a huge variety of styles. It is also an instrument on which you can employ a big range of techniques. It is not something that is only suitable for strumming a cover of your favourite pop song. • When recording something, try to get it on take one, if possible. I always feel that each time you record the piece, you lose something. Also, I like to keep music live. • Don’t think in terms of “strumming patterns”. Although it is very worthwhile to practice different patterns of notes as part of your right hand strum training, I never do the same strumming pattern all the way through a song. And I never “chunk”. One thing seems clear to all of us who enjoy the ukulele – it’s in a ‘boom’ phase – what are your thoughts on that? There are obviously several factors at work here. One obvious thing is YouTube. This has enabled new players to easily get to know other, more experienced, players from all over the planet. I now have friends on every continent (not Antarctica, yet), and have had the opportunity to meet many of them in person. I work closely with many of the world’s top players and know personally many of the owners of stores and ukulele companies. This is something I never dreamed of just a few years ago. By spending a little time on other sites, like Facebook or the uke forums, you can talk with other players, wherever they are. I have found that ukulele players are really generous with their time and most seem ready to offer a kindly word of advice to less able players. The ukulele community is so friendly, and such a contrast to groups of players on other instruments. This makes learning and playing the uke a fun and social activity. I suppose one other consideration is the fact that the uke is very portable and is straightforward to play. The fact that it can be played while you sing at the same time makes it an easier alternative to the guitar. New players are also encouraged when they see famous names playing the uke too. It is now OK to play it. If you want to be on the “A” list with Zooey, it is almost compulsory to play the uke. It wouldn’t have been the case in the 1970’s, for instance. People may know that you seem to be an extremely busy man when it comes to the ukulele – you go all over the world with it don’t you? Well, for over three years now I have been attending ukulele festivals, primarily to promote the Ohana brand. I usually have a booth at these festivals. When I started, this was to allow customers to just try out the instruments. Recently though, people attending festivals come along expecting to buy something. Therefore I usually carry a couple of “specials”. That is, ukes that I am able to sell at a very low cost. Sometimes I don’t even have a booth and go to the festival to talk to as many people as I can. I really believe that this is an effective way of spreading information about our brand name. However, invariably now I also perform, usually at the main concert and give workshops as part of the festival’s program of events. I very much enjoy these opportunities to contribute to the show and to help people to improve their skills. Can you tell us some of your favourite performers? You must have seen a few! 1. Aldrine Guerero who is such a friendly, respectful guy and has a truly amazing, precise way of playing. 2. James Hill is so staggeringly accomplished and performs with such understated style. 3. Lil' Rev, for his passionate and articulate enthusiasm for traditional music. 4. Gerald Ross, who is such an asset to any uke gathering, with willingness to join in with anyone that asks. 5. Lorenzo Vignando is a positive, generous and original player with some wonderful new ideas. These are really just a few well-known performers/players that immediately came to mind, and for different reasons. I could go on and on and include many others that should also be on this list (sorry). Recently there has been quite a buzz about your latest venture – the Living Water range of strings – tell me a bit more about those and how they came about? Some time ago I decided that I wanted strings that exactly fitted my requirements. I eventually found what I was looking for and tested them both on myself and on quite a number of famous players. To my surprise, everyone seemed to like them, including me. I worked very hard to source quality materials, both for the strings themselves and for the packaging. I looked very seriously at the design of the packaging. I was not at all interested to manufacture an inexpensive product – I wanted to make something of real quality, the best I could produce. I have taken things quite slowly and kept everything rather low-key, and I shall, for the foreseeable future, only be selling the strings from my online store on my website. In this way, I stay very much in control of the quality. Well, they have impressed me Ken. Now - a question I ask all my interviewees (and it’s great to see the differing responses) so… what is your best advice for new players? My main advice would be to learn as much about music as you can. That is to say, learn about reading and writing music, so that you develop a real understanding about what you are attempting to play. This will inevitably make your progress on the instrument so much faster, as well as giving you so much more pleasure learning the instrument. With a good understanding of the rudiments of music, you will be able to attempt your own arrangements, work out chord sequences, add harmonies and compose your own material. This knowledge will enable you to improvise or play along with others without any practice, even if you have never made music with that person ever before. With a little understanding about keys, chords and transposition you need never ask for tabs or chords again. There is a problem though. Where do you find reliable information to learn these things? Sadly, I’m afraid that you cannot always trust what you are told on YouTube, what is discussed on the forums or on someone’s website. There are, of course, some wonderful teachers out there and many great instructional websites and a lot of generous players work really hard to help others to learn the instrument more easily. But sometimes the information you get is incomplete, difficult to understand or just plain wrong. This makes it very difficult for people to know who to trust. One thing is certain though: those people who work hard to understand what they are playing are a lot better off than those who don’t. The more you understand about the theory of music, the more able you will be to make a judgement about whether what you are being told is correct or not. I genuinely feel that the more you know about theory, the better your playing will be. Your practical skills will develop if you have understanding. It is not only a matter of practice. That is certainly an area I need to improve on, so I will take that from this interview! And, as I have the opportunity - any other pearls of wisdom you can share with the ukulele world? Now that I am getting older, I am beginning to realise that there are a lot of things that I don’t understand. There are also a lot of things I choose not to know about. For instance, I listen to very little modern music. By “modern” I mean from the last couple of decades (or so). I would not recognise Lady Gaga if she was sitting in my living room drinking tea with me. Does she drink tea? Anyway, bearing in mind that I definitely don’t know everything, here are 12 observations that I make. They are not in any particular order. Please don’t be offended if any apply to you. 1. If you play at the same volume all the way through a piece of music, your music will not sound as good as you think it does, even if you play every note correctly. A lot of people do this, particularly when they are accompanying their singing. I would say that the main reason why Jake is a great player is not because he can play really fast, but because he plays simple things so expressively. 2. Practice the things you can’t do more than the things you can do. 3. The top string on a ukulele is not the highest one off the ground, it is the highest one in pitch. It is nothing to do with altitude. This is true of all stringed instruments. On a ukulele, the top string is the first, the A string. 4. The most important variable in getting a good sound out of a ukulele is the player. The quality of the instrument (with some reservations) or the type of strings (even mine) are far less significant. Try not to be changing strings too often in an attempt to get that perfect sound. 5. It is great to cover songs. Many people prefer to hear covers than original material. However, I simply cannot understand why people try to closely imitate the original performance. What’s the point? I suppose we are all guilty of it sometimes. I tried to really copy a Dylan song once (Blowin’ In The Wind), complete with harmonica playing and a terrible American accent. What can you say? Amazingly, it has had 12000 views. What I prefer to do, is do it my way. Recently, my good friend Lorenzo and I did a YouTube video of our own version of a Beatles song. Because it wasn’t quite what people expected, a lot of viewers hated it. Oh well! 6. When you record a video, smile. I don’t and I should do. 7. Here’s a secret. One of the best ways to get a good tone is to have very smooth fingernails. I mean very smooth, inside and at the edge. If you cast an eye on the inside of James Hill’s ukulele case, the things you won’t fail to miss are the items of manicure paraphernalia. 8. Don’t wear a tie in a YouTube video. It looks odd, at least on me. I did it once. 9. Only buy another ukulele if you actually need one. 10. You can play sad music on a ukulele. 11. Why do some people give their ukuleles names? Do they also give their toaster a name? Or their hair brush? I didn’t even give my last pet a name. We called him “little cat”. He was a hamster (just kidding). 12. Don’t perform in a check shirt unless you can really carry it off, like me!